Evening visit, inevitably the busiest pub I found in Faversham. Mid evening visit. Busiest of the Faversham pubs I visited. Brief late evening visit. More "Available soons" than one could poke a stick at. Brief visit for quick pint. Oddly not a single festival ale on sale but staff pointed to the 4 Kentish ales and said they were at festival prices. Usual uninspiring Wetherspoons atmosphere. I've not listed all the beers available. Here for the nearby, annual food festival. Late afternoon and very quiet today. Several Old Dairy beers spotted. Nice and cool in here after a full day of sunshine stomping across Luddenham and Oare Marshes. Westerham - Single Hop Hallertau Tradition 4.00 I really liked this golden, crisp, beer with relatively subtle hops. 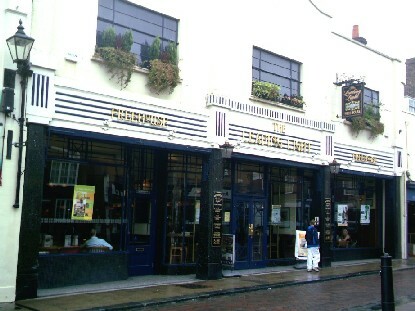 The pub is found in Faversham, Kent, ME13 8NZ. Lovely Art Deco building in Preston Street not far from the railway station and opened in 1997. 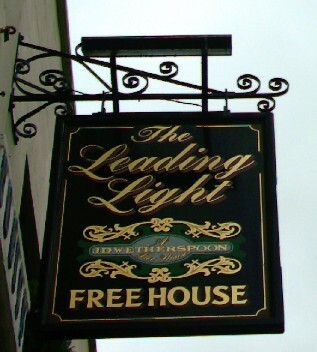 The name of this Wetherspoon pub recalls Henry Wreight (pronounced rate), who was a 'leading light' in the development of Faversham in the 19th century. Great iron work and windows on the front. The wood/marble interior is stunning and gives a grandiose feel to the pub. Attractive patio garden to the rear. 12 handpumps in 2 banks each of 6. Raised seating area to one side of the main bar floor and a restaurant area to the rear. We have visited this pub 31 times, seen 78 different beers and tried 26 of them.